ConsumablesPigments, release agents and spacers etc. Everything a precast works needs on a daily basis. DrainageMoulds for heavy to weak water flow, ideally used with our paving range. EquipmentConcrete mixers, Vibrating tables and Concrete Blocks, all the hardware needed to produce your precast concrete. FencingMoulds for concrete fencing, posts, panels, rails etc. OrnamentalMoulds for decorative use, such as balustrades, bench moulds, decorative wall and fencing options. PavingA wide range of paving moulds, from standard plain all the way to super realistic derbystone moulds. TimbercreteTimber effect concrete moulds that produce realistic timber effect fencing. BlocksBlock Moulds made for decorative and retaining wall purposes. 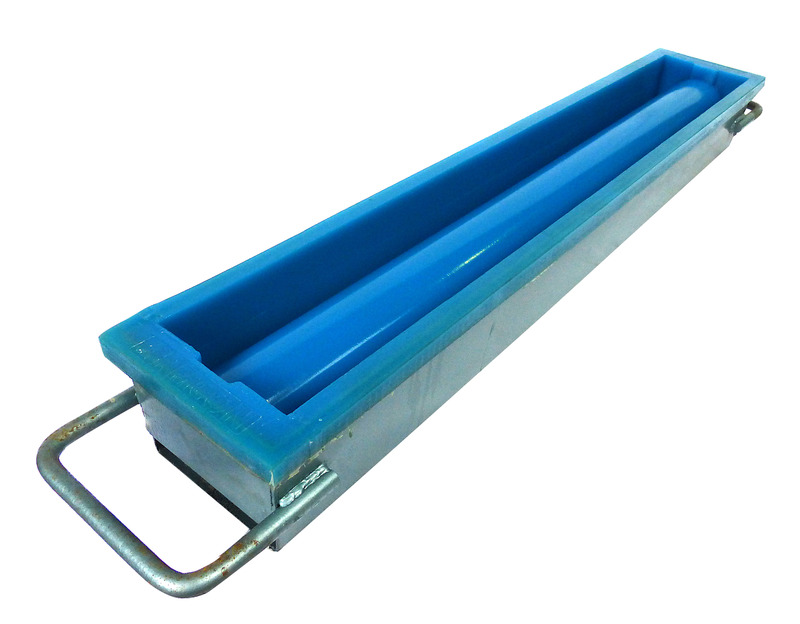 3 sizes of Drainage moulds, designed with speedy flow in mind depending on your water flow needs, as well as the easy and fast concrete product demould, these products are great when used in conjunction with our paving moulds.